Bring style to your walls! 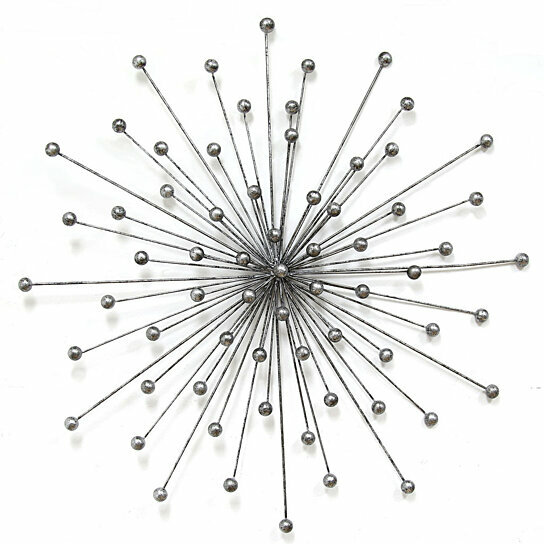 This gorgeous wall hanging features a sunburst shape in a metallic silver color. Its bold look makes it an ideal statement piece alongside modern or contemporary decor with a geometric flair. An attached keyhole makes it easy and convenient to hang. Care instructions: Wipe clean with damp cloth.